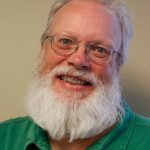 EAGLE COUNTY — This time of year, Dave Forenza has some friendly advice for everyone he works with and everyone who works for him: you can always give something. Forenza today is a successful builder, but he grew up poor in Troy, N.Y., one of eight children raised by his hard-working mother. There were nights as a kid when dinner was a bit of white rice and ketchup. In those days, Forenza’s family needed all the help it could get. Often, that help — from food to clothing to Christmas gifts — came from the local Salvation Army and other charities. Since he’s been on his own, Forenza every year has tried to give something to local charities, even if his own fortunes were flagging. 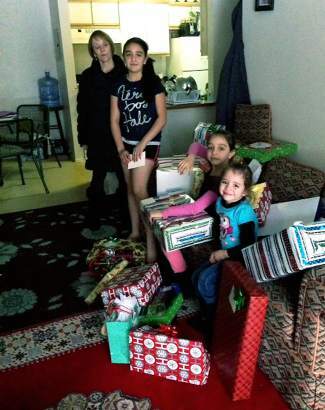 “I’d always find a way to bless someone — even if it was just a loaf of bread,” Forenza said. This year, Forenza walked into the local Salvation Army office in Avon to ask about participating in the charity’s annual Adopt A Family program that provides gifts of clothes and toys to families in need. He took a family’s name, then asked Salvation Army director Tsu Wolin-Brown what the charity needed in its food pantry. Wolin-Brown gave Forenza a list, which he then took to Avon’s City Market store and filled “four or five” shopping carts with multiples of everything on the list. “My tree’s empty this year, but I was able to bless someone else,” he said. Sharing his own blessings one of the pillars of Forenza’s life, but he isn’t alone. Far from it. For the past several years, the Alpine Club at Arrowhead has participated in the Adopt A Family program, with the number of participants growing every year. This year, club members adopted nine families, providing everything from food to clothes to gift cards to local stores. Club director Bob Moroney said every year there are ornaments on the club’s Christmas tree. A member picks ornaments and then gets specifics about the family’s needs and the ages and genders of the kids. Members do the shopping and wrapping and then deliver the packages to the families. This year, members also donated more than $5,000 for store gift cards, so families can continue to buy essentials into the new year. “It’s so rewarding to give the gifts,” Moroney said. And delivering those gifts can give a new perspective to families who own homes at Arrowhead but don’t live in the valley year-round, Moroney said, since just minutes away from Arrowhead’s gates live some of the valley’s neediest families. “We live in our own little world of Vail or Beaver Creek or Bachelor Gulch or Arrowhead, but you pull back the facade and there’s some real challenges out there,” Moroney said. One of those challenges a few years ago was a broken window in a mobile home stuffed with a blanket to keep out the winter wind. The day after members delivered gifts, they returned with a proper fix for the window. Few successful people have a childhood story like Forenza’s, but Moroney said many club members come from hardscrabble upbringings. And, like Forenza, those people want to share what they’ve been blessed with. But need continues in the days, weeks and months after Christmas. Moroney said the valley has a solid core of donors and volunteers that allow the Salvation Army and other charities to operate all year. But the Christmas holiday season is special, he said. “This time of year people reflect on what they have,” Moroney said. That spirit of giving is crucial to nonprofit groups around the valley. The Salvation Army does the bulk of its fund-raising with its bell-ringers in the weeks before Christmas. This year, a combination of a short season — Thanksgiving fell about as late as it can this year — and more than a week of bitterly cold weather has eaten into that effort.